A lot of time is invested in putting a deal together and it is crucial that agents and brokers constantly sharpen their negotiating and problem-solving skills to be able to bring more buyers and sellers together and even more importantly, keep those deals from falling apart during closing. Many sales don’t come together in the first place or worse off, fall apart for issues that could have been resolved with a proactive and problem-solving mindset. Sales managers and brokers can help by implementing these proven techniques to coach your agents to becoming a value-added expert and in effect, close more deals and keep their deals together to successful closings. Teach your agents how to be great communicators and problem solvers. A large portion of the money that we are being paid is to negotiate and communicate. Communicate in person, not via electronic devices. It is impossible to read body language via a text or email and it is impossible to negotiate effectively through the airways. Communicating on the phone gives you the ability to stay in control of the process and quickly change the direction of the conversation if needed. It also allows you to remind the client of their original goals, why this house is the right home for all their original reasons, or why the seller was thrilled to get this price and moving date so they could move into their next home on time, etc. By communicating in person or on the phone live, you can listen and respond better to what their hot buttons are and present the risks, benefits and solutions much more effectively. Be obsessed with overcoming objections, don’t avoid them. Too many agents avoid dealing with the main objection and end up letting the client make decisions that are not in their best financial interest. The best negotiators figure out the objections and isolate each one and then overcome them with the client one at a time providing solutions that solve the issue. Solve problems, don’t create them. Too many agents use blame avoidance tactics to make themselves look good. All this does is create more problems. Tell your agents to be proactive, not reactive. Have the confidence to share with your client that you don’t think the decision they are making may be in their best financial interests or will help them achieve their real estate objectives. Slow down the process. Don’t be so quick to get a mutual release signed when there are always ways to solve an issue or situation. Encourage your agents to speak with their manager or broker first to brainstorm ideas on how to solve a seller or buyer “issue” before letting everyone knee-jerk react and go straight to killing a deal. Tell your client, “I understand.” Stephen Covey wrote “Seek first to understand, then to be understood” as one of his Habits of Highly Successful People. 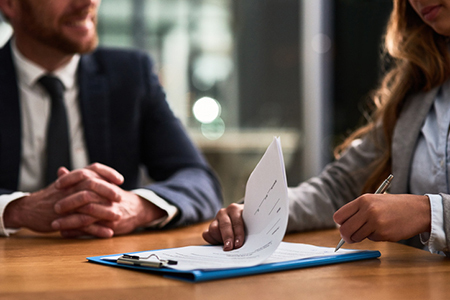 Using the phrase “I understand” in any personal relationship, but especially in negotiating the sale of real estate, will help validate your client’s feelings and will often times help you diffuse situations and allow you to stay in control of the process. Manage expectations ahead of time, instead of in real time. Prepare and advise your clients of what they can expect and even give them dollar figures. For example, share with a seller client that they may have to spend $2,500 in home repairs from the home inspection to keep the deal together. When the buyer asks for $1,600 they are well under the amount the seller thought might happen. Explain it may be more than $2,500, you don’t know their home, however most of the time if the seller was prepared better for what to expect, they would be more inclined to participate and cooperate a lot easier. Managing expectations in real time is stressful and creates emotionally driven and reactive negotiations instead of proactive and prepared responses. A buyer who understands ahead of time that the home inspection is not meant to be another round of negotiations is going to be more reasonable in their repair requests than being told by their agent to just ask for everything. Sales managers and brokers, interested in more ways to strengthen your agent’s negotiation skills? To receive my FREE Proven Negotiation Strategies Guide, email me at yourock@sherrijohnson.com. Sherri Johnson is CEO and founder of Sherri Johnson Coaching & Consulting. Johnson has 20 years of experience in real estate, and offers keynotes, consulting and coaching. Johnson is also the national speaker for Homes.com for Secrets of Top Selling Agents tour. For more information, please contact coaching@sherrijohnson.com or 844-989-2600 (toll free) or visit www.sherrijohnson.com.